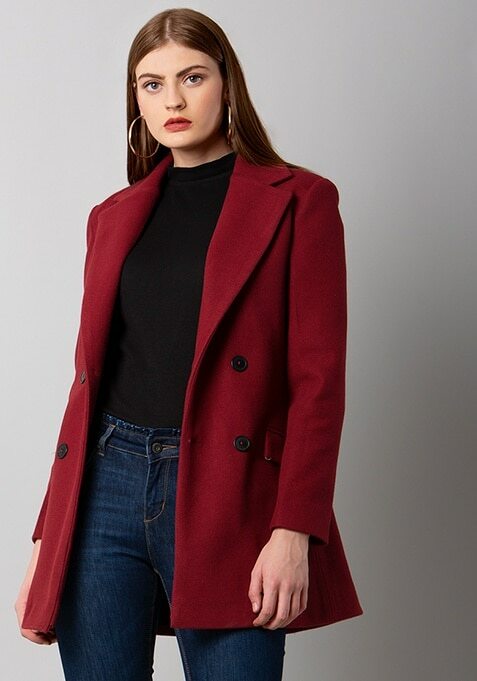 Beat the chill dressed in this maroon trench coat that is equal parts chic, versatile and stylish. Features notched lapel, double breasted front and flap pockets. Work It: Team it with a high-neck sweater, skinny bottoms and ankle boots.